Benjamin Lewin MW, Vendage Press, 2011, hardcover, 424 pp, $45 ($29.60 on Amazon). The title is misleading as this book is a homage to Burgundy. Lewin notes, “Burgundy makes Burgundy. All the rest make (merely) Pinot Noir.” Further, he states, “Burgundy has the pinnacle all to itself for Pinot Noir.” He establishes this premise early on in the book and then begins to prove his case with extensive historical material on the origins of Pinot Noir and the history of Burgundy, a very enlightening discussion of the significance of the region’s terroir, and lengthy tasting notes of exemplary Burgundian Pinot Noirs including recommended drinking windows. He then takes the reader on a trip to other French Pinot Noir producing areas including Sancerre, Champagne and the Languedoc, European Pinot Noir regions such as Germany, Italy, and Switzerland, California and Oregon, and New Zealand and Australia in the southern hemisphere. The New World versus Burgundy is a tired argument and the argument as presented in the book is agonizing long. Lewin states his case at several points in the book. He notes at one juncture, “The transparency of Pinot Noir can show subtleties of terroir as effectively in the New World as in the Old. Two factors stand in the way of a full appreciation of terroir in the New World....the vines are young....and the style of full frontal fruits isn’t best suited to reveal subtlety of terroir.” I believe he is remiss in acknowledging the Pinot Noirs from Pisoni Vineyard or Rochioli Vineyard where the exuberance of the fruit IS a reflection of the terroir. The coverage of North American Pinot Noir is woefully lacking with an emphasis only on Santa Barbara County and the Russian River Valley. Santa Cruz Mountains receives but two paragraphs, and the much heralded Pinot Noirs from the extreme Sonoma Coast (except for a cursory mention of Hirsch Vineyard), Anderson Valley, and Sta. Rita Hills are largely ignored. There are a few inaccuracies along the way. 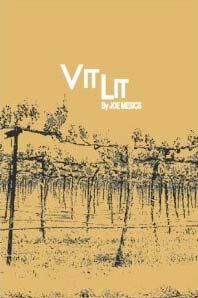 Although David Lett is correctly given credit for launching the modern Oregon wine industry, his first plantings in the Willamette Valley were in 1965 and not 1967 as is stated in the book. Charles Coury is given credit for writing a thesis that suggested that Oregon should plant Pinot Noir, but no such information is contained in Coury’s graduate thesis which was titled, “Wine Grape Adaptation in the Napa Valley.” Lewin attributes the University of California at Davis for advising Joe Rochioli, Jr., to plant grapevines in the Russian River Valley in the 1960s, when grapevines had been growing on the property Joe Rochioli, Jr., acquired for many years prior, and it was Joe’s idea to plant Pinot Noir. I found it humorous that Lewin frowns on the limited availability of top single-vineyard Pinot Noirs from Oregon and California, saying, “The near universality of the model (allocation) means that unless you are in the magic circle of aficionados, you may never experience the range of single vineyard wines.” Later in the book he touts the wines of DRC and Leroy, yet they are far more expensive and allocated, and even less rarely experienced by the American wine enthusiast. The book concludes with a description of a tasting to compare aging of top wines from different regions by identifying wines with the same apparent maturity as Burgundy 1995. The author concluded from the tasting that Pinot Noir from a variety of climates and terroirs can produce interesting results with age, but considered many wines in the tasting to be only at the village wine level of Burgundy. I plan to read this book many times for there is plenty to learn here. 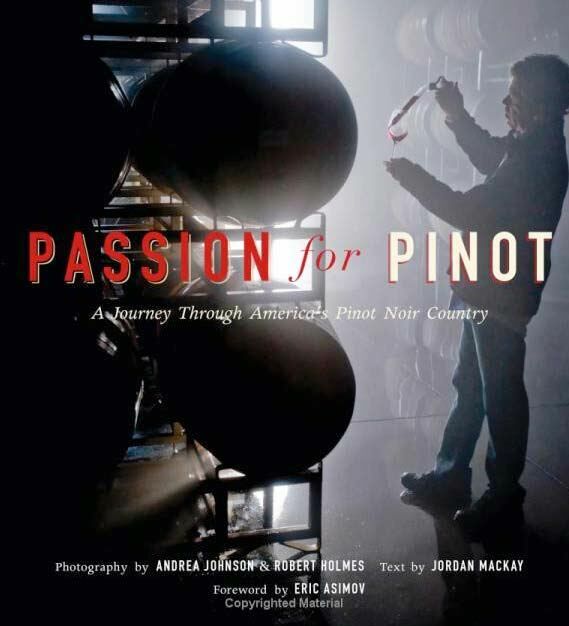 Pinot Noir lovers at all levels will be captivated by the detail contained within, and thoroughly enlightened by the extensive charts, maps and photos included, whether are not they are devotees of New World Pinot Noir, Old World Pinot Noir, or hopefully, both. Remington Norman, Sterling Epicure, New York, 2011, hardcover, 235 pp, $35. When I first traveled to Burgundy, I bought Remington Norman’s book that explores the greatest producers of Burgundy, The Great Domaines of Burgundy, in Beaune, and carried it with me everywhere I went. The last edition of that book was published in 1996, but it remains a valuable reference. It was therefore not surprising that I looked eagerly to reading Norman’s latest book and I was not disappointed. Grand Cru assumes a different tact, concentrating on vineyards rather than producers with extensive profiles of all the Grand Cru Vineyards in Burgundy and the Premier Cru Vineyards that come closest to and are possibly deserving of Grand Cru status. 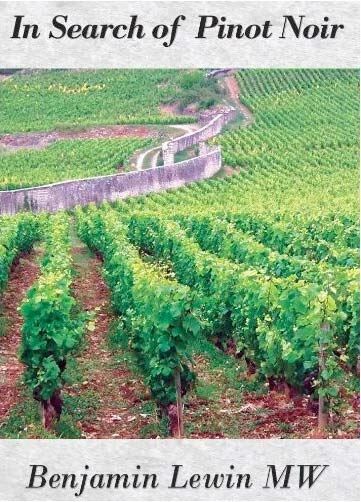 Although, as Norman points out, Burgundy’s Grand Cru vineyards (white and red) amount to just over 1% of the total vineyard area and less than 1% of the wine production of Burgundy, they remain a source of unparalleled interest to Burgundy lovers. 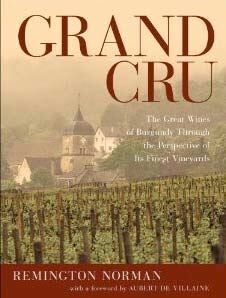 Although Grand Cru Vineyards are the meat of the book, there is much more, including extensive coverage of the Côte d’Or in the context of history, the importance of terroir, the significance of vintages in Burgundy, how to taste and buy Burgundy (or any great wine), pairing Burgundy with food, and the current state of Burgundian grapes in the New World. What you won’t find in this book are extensive tasting notes and specific wine recommendations. You will find many valuable bits of information and quotes to hang your Pinot cap on. For example, Norman waxes about La Tâche, saying, “The real impact of a great Côte d’Or Grand Cru is as emotional as it is sensorial so one can only hint at the magic and encourage people to pool resources and share a bottle.” In discussing wine tasting, he says, “A useful tip with tasting young wine is to smell the glass that has been empty for a minute or so; this offers an artificial glimpse of how it might develop in the bottle.” When discussing wine quality, he muses, “The greater the wine, in general the more difficult it is to taste young and the slower its progress toward maturity. The book is replete with glorious photographs of Burgundy as well as color aerial photographs of the vineyards described. A helpful appendix clarifies the various measures of wine-related capacity, yield, and area in several countries. This is an incredible work that took considerable dedication over many years to bring to print. I would consider it required reading for even the most mildly afflicted pinotphile. My only nit is a little repetitiveness in parts, but this can easily be forgiven by the author’s profuse love for Burgundy expressed so eloquently in this magnificent book. Katherine Cole, Oregon State University Press, Corvallis, 2011, Paperback, 182 pp, $18.95. There are few subjects in viticulture more controversial than biodynamic (BD) farming. The word “voodoo” crops up at various junctures in this book, a term implying a mystical or spiritual basis for this practice. When this book was first released, I mentioned the title to Ted Lemon (California’s Littorai winery), a staunch believer in BD, and he cringed. To emphasize the conflicting opinions about BD, a number of viticulturists would not go on record with statements about BD in this book. There hasn’t been much scientific research on BD, and the author points out that a few studies have even found BD agriculture to have no measurable effect on soil health and little evidence that the preps contribute to grape quality. Practitioners of this ultimate form of sustainable farming must take a leap of faith. The author presents a generally supportive view of this practice as told through vignettes of prominent Oregon winegrowers including Moe Momtazi (Maysara), Robert Gross (Cooper Mountain Vineyards), Laurent Montalieu (Soléna and Grand Cru Estates), Don Huggett (Montinore Estate, Brian O’Donnell (Belle Pente), and Mike Etzel (Beaux Frères) among others. 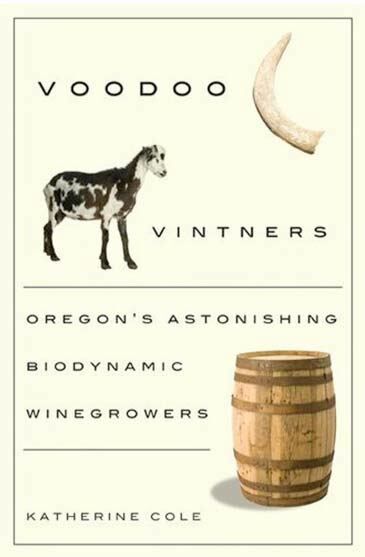 At the time the book was written there were 909 vineyard acres in Oregon, or 5% of the total vineyard land, certified Biodynamic® (the word is trademarked and to be used only by Demeter-Certified wineries to market or label wines, but can be used in a broader sense without the trademark to describe BD farming techniques). 365 acres are non-certified Biodynamic® bringing the total in Oregon to 6.5% of the total vineyard land. A master list of natural and biodynamic wine producers in the world (currently 529) is available at www.forkandbottle.com/wine/biodynamic_producers.htm. At the recent organic and biodynamic debate held in the UK, Monty Waldin noted that over 5% of the world’s vineyards are now organic and biodynamic. There are few sources of information about BD (“There are no Cliffs Notes,” the author points out), so Cole has done an admirable job filling this void by collecting all the important current knowledge about BDs origins (from the agricultural lectures of Rudolph Steiner dating to 1924), its practice (compost piles, cover crops, irrigation limitations, buffer zones, integration of livestock, minimal sulfur and copper usage), important BD organizations (the headquarters for Demeter USA and the Biodynamic Farming and Gardening Association is based in Oregon), and certification requirements. Viewpoints from both BD’s practitioners and naysayers are offered, with limited discussion given to the latter group because, other than Richard Smart, there are few outspoken prominent opponents to BD. The author is not a scientist or even a viticulturist, but a wine columnist for The Oregonian and Portland’s magazine about food and drink called MIX. This is a good thing, for she does not attempt to present a treatise on BD, but chooses to offer a highly readable story centered on Oregon winegrowers sprinkled intermittently with useful and accurate information on BD. I am not sure the BD winegrowers are “astonishing” as the title would suggest, but they are certainly fascinating. 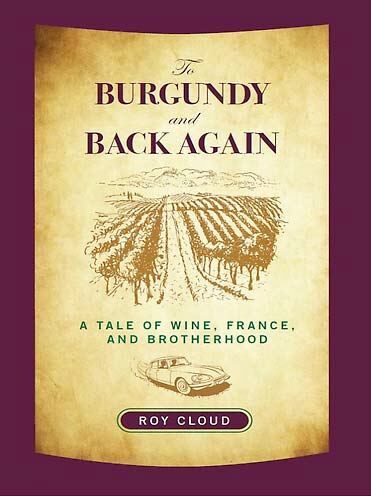 Roy Cloud, Lyons Press, Guilford, Connecticut, 2011, paperback, 215 pp, $16.95. Roy Cloud had worked in the wine business in the United States for years, but in 1997 he was confronted with an unusual assignment. The United States import market was heating up and he was asked to quickly acquire a portfolio of vignerons for a new wine importing company. Nothing unusual about that except that Cloud spoke no French, had never been to Burgundy and had no contacts there, and possessed little experience in importing and distributing fine wine. He did have an older brother, Joe, who spoke French and was available to join him, and the two of them embarked on a twelve day whirlwind life-changing tour of Burgundy. Roy Cloud is an engaging writer who holds an MA in writing from New York University. He eventually bought the importing company that first sent him to France and renamed it Vintage ’59 Imports, reflecting a famous vintage in France as well as Cloud’s birth year. The company is based in Washington, D.C. and specializes in artisanal French wines. Joe Mesics, Illustrated by Jamie Shulander, Cameron & Company, 2011, paperback, 63 pp, $14.95. I devoured this book over a few hours as it contains a series of short essays in a column titled “Vit Lit” that the author wrote for The Healdsburg Tribune under the pseudonym F.l Gangbardt between 2008 and 2009. Mesics was a devoted winegrower who started a vineyard in Rickerall, Oregon in the 1960s after a career in the magazine publishing industry. He later moved to the Russian River Valley, and at age 55 planted Timbervine Ranch Vineyard on the flanks of Black Mountain. The vineyard consisted of several acres of Zinfandel. He lived nearby on a ranch on Westside Road called Por Que Ranch where he produced wine from a tiny winery known as Itty Bitty Cellar at Por Que Ranch. The essays cover subjects ranging from field laborers to hardware stores to terroir, and contain plenty of insider jokes that only those who have lived or spent considerable time in the Russian River Valley will understand since the people that are described are not named. In spite of that, all winos will enjoy the read since he writes from the heart about what farming grapes is really like and how winegrowing has changed since he began in the 1960s. I found myself laughing out loud at several junctures of the book. Tragically, Mesics passed away before his book was published. This is not a book that will receive wide recognition or press, but it is honest writing that truly conveys one man’s love for viticulture. As Mesics put it, “I’ve never met a grapevine I haven’t liked.” I can just imagine his weathered skin and gnarled hands, and regret that I never met the man. Thomas C. Wilmer, RiverWood Books, Ashland, Oregon, 2010, paperback, 236 pp, $18.95. This is the first published comprehensive guide to this under-appreciated California wine region which has been quietly been producing wine for more than 125 years. 15 miles long and 10 miles wide, the Livermore AVA was approved in 1982. Because of east-west oriented mountains that flank the valley, the climate is coastal, with marine air and fog intruding from San Francisco Bay. The history of the region is documented in this handy guide and includes a forward by Phil Wente and James Concannon. The Wente family brought Chardonnay clones to the region from France in 1912 and today more than 80% of Chardonnay plantings in California are some variation of the Wente clone. The first varietally-labeled Sauvignon Blanc and Petite Sirah came from Livermore Valley. Pinot Noir plantings are sparse and Pinot Noir has been a minor variety for nearly all producers in the region except La Rochelle Winery which sources Pinot Noir from several AVAs in California and Oregon. The signature varietals of Livermore Valley are Petite Sirah, Syrah, Zinfandel, Sangiovese, Cabernet Sauvignon, Merlot, Sauvignon Blanc, Pinot Gris, and Chardonnay. This tour guide is not a serious wine reference and does not include wine reviews or judgments about the quality of the wines from the wineries, but insightful vignettes of each winery are presented. I discovered that a number of wineries beside La Rochelle do produce Pinot Noir from sourced grapes including Charles R Vineyards, Crooked Vine & Stony Ridge Wineries, Darcie Kent Vineyards, Elliston Vineyards, Fenestra, Page Mill Winery, Rodrique Molyneaux, Wente Vineyards, Westover Vineyards, and White Crane. This is a useful book to throw in the glove compartment of your car as you tour the region. 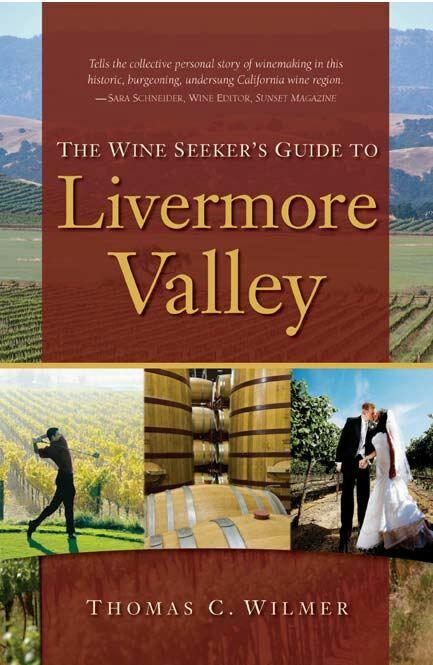 Maps, lodging, restaurants and things to do and see in the Livermore Valley are presented in detail. A mobile version of the guide would be even more helpful. 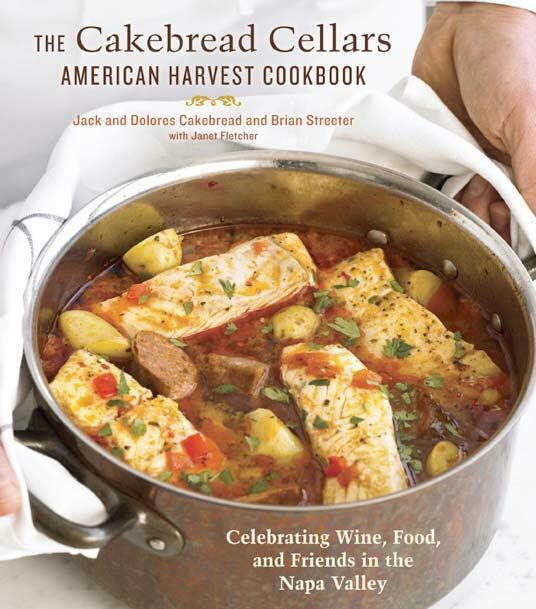 This book features recipes from the American Harvest Workshop hosted by the Cakebreads each September during harvest season. The release of this cookbook in 2011 coincides with the 25th anniversary of this event which is held over four days at River Ranch Vineyard in the Napa Valley. Five chefs from the United States are invited each year and attendees include a mix of trade people, journalists, and the public. 100 seasonal recipes are included by such famous chefs as Gary Danko, Herbert Keller and Charlie Trotter. The recipes focus on local (“locavore”) sources of food and therefore California cuisine, and a number of them have been streamlined for home cooks. Scattered throughout the book are informative profiles of the winery’s purveyors such as Devil’s Gulch Ranch rabbit and Liberty duck, and the book’s appendix includes sources for difficult to find ingredients. The book is intended to be a working cookbook rather than a glamorous picture book, with color photographs included primarily for guidance. I tried a few of the recipes successfully, including Fennel-Brined Pork Chops with Quince Chutney and Slow-Roasted King Salmon with Garden Herbs, both of which clicked beautifully with Pinot Noir from my cellar. This is a user-friendly and wine-friendly cookbook that includes a number of recipes using wine in the preparation. In addition to the newer books reviewed above on Pinot Noir, I have compiled a list of previously published books to stock your library below. A few of these, such as North American Pinot Noir, are available in e-book format.